In 1602 the Dutch government set out to monopolize the intercontinental spice trade, establishing the Dutch East India Company as an official colonial agency. The company was given massive financial backing and the legal power to wage war, create overseas settlements, and uphold its own jurisprudence. For over 200 years the company represented Dutch interests in Asia and dominated European trade. The company’s influence was unrivalled for most of its lifespan, eclipsing the ventures of its British and Portuguese competitors. During the 16th century the Portuguese Empire controlled the European spice trade and used Lisbon to disperse goods across the continent. Their fleet purposely sailed around the Dutch Republic, restricting trade between the Low Countries and the rest of Europe. Threatened by this embargo the Dutch decided to commission their own fleet in order to undermine the Portuguese. Their first expedition launched in 1595 and successfully returned from Indonesia with a large haul of spices. The Dutch fleet increased exponentially over the next three years, and eventually led to the formation of the East India Company. The Company became exceptionally profitable and continued to flourish. The Dutch government allowed the company to build forts throughout south-east Asia and establish footholds across the continent. 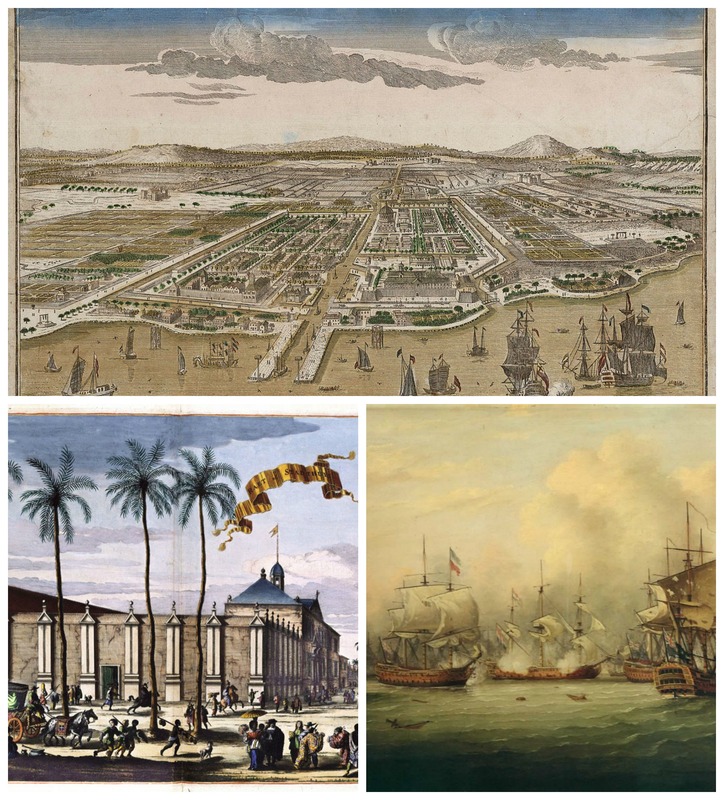 After years of conflicts with the Portuguese navy, the company began to surpass its main competitor, and in 1619 stormed Jakarta to establish its city-spanning headquarters, Batavia. This trading outpost gave the company a stronghold in the Pacific, allowing it to exert its influence over surrounding trade routes. This victory devastated Java, razing settlements and killing hundreds. For the next 50 years the company used an aggressive economic policy to sabotage its rivals, creating an intra-Asia trade system that allowed them to purchase and sell precious metals at a significantly reduced rate. The Portuguese’s influence eventually waned and was replaced by the British’s naval supremacy. The profits of colonial trade gradually fell over the next 50 years, as the spice market became oversaturated due to the new trade links formed with South America. The Dutch continuously clashed with the British, entering two wars that devastated both sides. The second conflict took place between 1780 and 1784 and almost ruined the company, with British forces destroying half of the Dutch fleet. The numbers were never recovered and by 1799 the Dutch East India Company was completely disbanded.